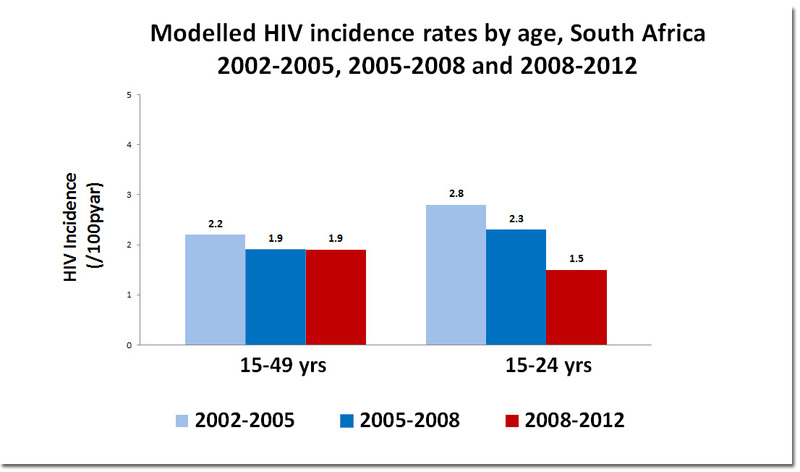 Click on image for larger version: example of a graph created from data for the South African National HIV Prevalence, Incidence and Behaviour Survey, 2012 launch presentation. The vision of the Research Methodology and Data Centre (RMDC) is to be the preferred data collection, capturing, analyses and digital data repository service provider for the HSRC’s research in support of evidence based human and social development in South Africa and the broader region. The centre is not only involved in the executing research methods, but adds value on a conceptual level to research projects and also contributes to the knowledge base of research methodology in general through training and publications. Over and above conducting methodological research, the RMDC provides short training courses in research methods (study design and sampling, data management, statistical methods, statistical computing, and data curation, as well as consultancy services related to the design, conduct and implementation of both qualitative and quantitative research methods. The RMDC plays a vital role in ensuring that research data for various research projects is collected and captured and made available to HSRC researchers for analysis. Research data is preserved and where appropriate, shared for secondary use for research or teaching purposes.